100% pure essential oil. For fragrant and relaxing baths. Pinus sarentensis essential oil disinfects and perfumes the air. Add 3 - 4 drops to the oil burner. The warm vapour soothes infections, unblocks passages and combats inflammation. Mix 1 dessertspoon of honey with approx. 1 - 3 drops of pinus sarentensis oil mixture and stir into approx. 0.25 to 0.5 litres of warm water. To be used in a Finnish sauna: add 3 - 4 drops of pinus sarentensis oil mixture to water and pour over the stones. For a bath: to ease tiredness and tension. Mix 2 - 3 dessertspoons of honey with approx. 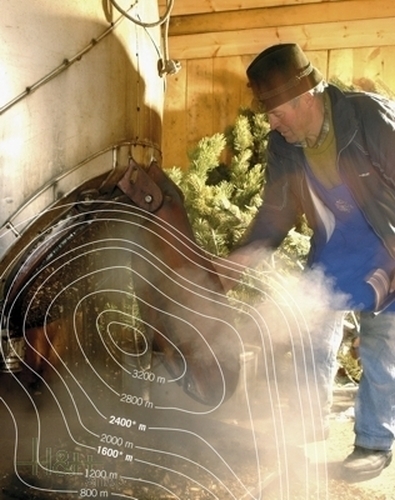 3 - 5 drops of pinus sarentensis and stir into a drawn bath (37 -38 °C). 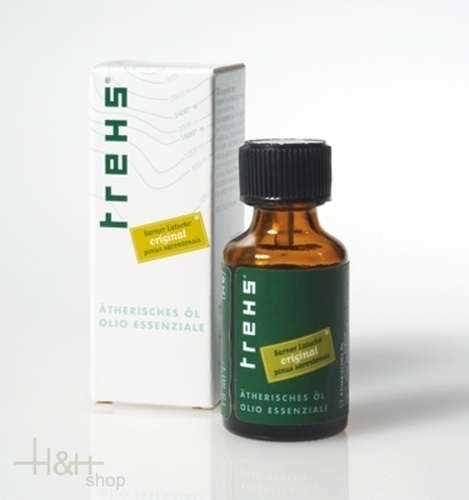 Original pinus sarentensis foot-gel 'Trehs' has revitalizing properties to alleviate tiredness after walks, for sports and also to combat cramps. Thanks to its regenerating effect, you will be able to keep going for longer. High quality nutrition to soften skin. Moisturises and strengthens, protecting against aggressive environmental pollutants. Effective on chapped and irritated skin. For a great shower experience. Cleansing and revitalising, it is gentle on the skin and has the fragrance of unspoilt mountain pastures. Contains extracts of herbs high alpine meadows and captures the essence of the mountains. Essences of alpine herbs cleanse, protect and strengthen the skin. Gently caring, with a natural fragrance. This soft, velvety oil promotes circulation. The results can be seen in beautiful, glowing skin. Has toning and nourishing properties. Revitalizes, refreshes, boosts circulation and promotes skin renewal, as well and relaxing the body.